We want to take a pause to give thanks for our blessings over this past year. At the top of the list is our appreciation of those who chose to invest in Walker Homestead Vineyard and Winery. To recap this past season, we expanded the homestead from five acres to eighty-five. We grew our vine count from 150 to 750, adding 300 Petite Pearl and 300 Verona vines. These two varieties hold much promise. The Petite Pearl wine grape is a newer cold climate red wine grape, producing a full crop after -32◦ F. Vigor is moderate and bud break is mid-season. Petite Pearl wine has Syrah-like qualities, with good tannins and structure. It is deep ruby-red and should age well. Early wines have been very complex with lots of spice and jammy fruit qualities. The Petite Pearl should be an excellent blending component to add complexity and softness to other mid-west red wines but it can stand well on its own and produce an age worthy, dry red. Verona is a new St Croix cross-breed. Of advantage is Verona’s late bud break in the spring and good production on secondary buds. Verona’s leaves have some resistance to fall frost, which allows the fruit to hang and ripen later into the fall, with harvest often taking place 10 days after Petite Pearl. In tests at North Dakota State University in 2012, ripe berries from Verona vines ranked No. 1 in tannin content out of 34 skin samples from northern grape varieties. The dry red wine made from Verona grapes has a velvety deep berry color and abundant soft tannins in the mid-mouth and finish, with a great balance between acid, tannin and alcohol. The aroma is complex; the characteristic raspberry aroma is dominant, changing to blackberry as it ages in the bottle. There are dark chocolate flavors along with raspberry, with an excellent balance and finish, all in a style that is reminiscent of a Tuscan red wine. We very much look forward to what we can produce with these two varieties in their first harvest of 2019. In partnering with Shanti Sellz of Muddy Miss Farms, we have our first two acres of an organic garden area underway at the homestead, which will come into a CSA offering this spring and source the food for our culinary classes and farm to table dinners led by Chef Chris Grebner of Provender. 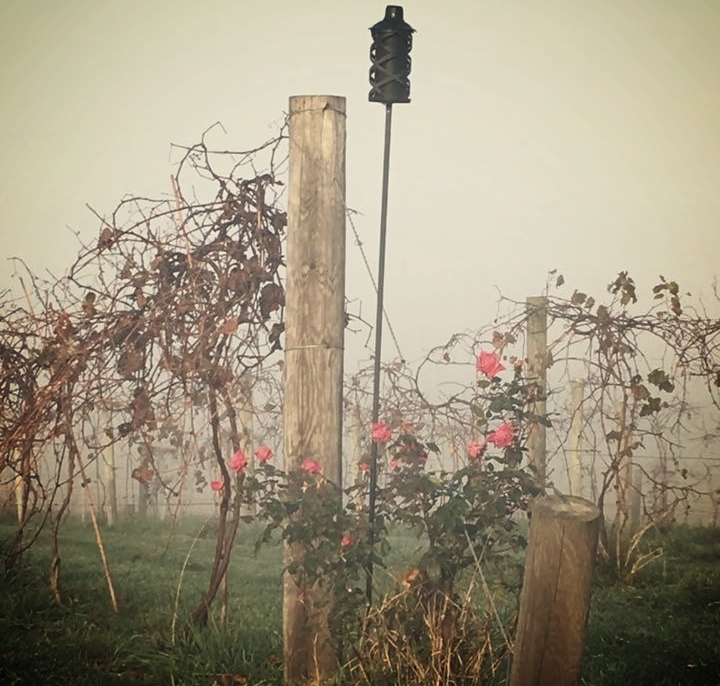 We planted fifteen acres of pasture to make way for our heard of vineyard grazers that will come to us this spring. We are excited that our ‘Pick Me’ wine won a silver medal in the Mid-American Wine competition. We have bids out for the barn with plans to break ground in February. So much is happening - so much in the earliest of stages. Thank you again for your investment in the Walker Homestead vision and joining us from the starting block. If you are interested in becoming a Vineyard Team Member, email bob@walker-homestead.com. For a $300 investment, you have three vines with your name on a plank in the vineyard, a Walker Homestead t-shirt and cap, a case of the first production of those grapes, and 10% off of all future purchases. Best of all, you are a part of this new venture. As we start in to 2018, please friend us on Facebook if not already done so. We pledge to keep this website a good reference for you moving forward and cannot wait to dig into the calendar for this coming year. We very much look forward to our next visit with you. Thank you and Blessings to all of yours. On the Shelf in the New Pioneer Food Co-op Stores! We'd love to show you the place.